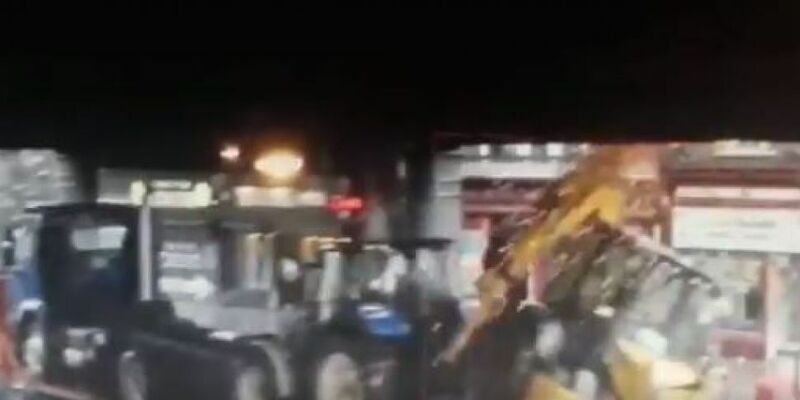 A digger has fallen off the back of a truck after hitting a bridge in the city centre. In CCTV footage shared by Irish Rail, a truck is seen driving under the rail bridge. A tractor on the back of the truck is low enough to make it through. However, a digger also on the back of the truck clips the bridge and falls onto the road. Irish Rail said "had pedestrians, cyclists or motorists been on the other side of the road, people could have been killed". It has reminded heavy goods vehicle drivers to "know your load height for the safety of all".